So, you know your SUM formula, you also know how to use the COUNTIF function. In addition, you are the go-to person at your office, when basic or intermediate level Excel help is needed. You now want to take your Excel to the next level. Wait for it – yes that is, namely the Advanced Excel user level and dramatically increase your speed, workflow, and outputs in Excel. This is the domain, where you will frequently encounter financial accountants, data analysts, MBAs, scientists and engineers and once you join the advanced user ranks – you will be able to read, understand and modify their spreadsheets with ease. Not only that, you will be able to, as an Advanced Excel user improve spreadsheets that you are given, design templates, and occasionally or frequently answer Excel related questions on online forums. 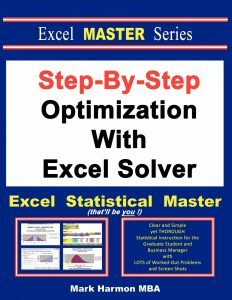 It is a wonderful feeling when you are given a complex real life challenge or problem and then you are able to come up with the solution using Excel formulas or tools. In addition, once you reach this level, you are well on your way to getting a certification in Excel, if you so desire. You can sit for exams such as the Microsoft Office Excel Expert exam to add an impressive qualification to your resume. Also further down the line, if you do regularly use your acquired advanced Excel knowledge to help build the Excel community by answering questions in forums or running tutorial blogs or YouTube Channels. You may attain the knighthood of Excel Dom, which is the much sought after and valued MVP (Microsoft Valued Professional) status. So, in other words, an advanced Excel user has a lot to gain and a lot to look forward to. So, I’m sure you are already excited and want to know more about how to reach this level. Well, look no further, since we’ve put together a list of books that will help you reach this Advanced Excel user level and gain a comprehensive understanding of Excel. Topics such as financial functions, complex formula creation, PowerPivot, modeling with Excel and much much more – are covered in the books below. After going through these books diligently, your productivity in Excel will be maximized, optimized and enhanced. Making complex Excel formulas (including making ones with array formulas) might be your day to day job as an advanced level Excel user. The following books are carefully selected and will fulfill your needs. Try them. OK! Without knowing Excel VBA, you cannot demand yourself an advanced user of Excel. Referring here those books that are must read to become a pro-Excel VBA user. The pivot table is one of the most used sophisticated tools in Excel. Master them as details as possible. This can be your most used tool if you work as the data analyst person for your company. This is the most important job you will do when you will be tagged as an advanced user of Excel. You will design or update dashboards for your company, might be all day long. Master the techniques and general rules for building dashboards with Excel. These books are the best in the market. Business intelligence is the trend now. Every business is adopting BI. Master the Power BI tools from Microsoft. So, you’re done. You got your track. When you want to tag yourself as the advanced user of Excel, you need to learn a lot of topics. You might be at a position where you lead your whole team. In that case, deep understanding of every tool of Excel is not necessary. Acquire just the general understandings with every topic. This will help you lead your team more effectively.